KARACHI: The administration in Karachi has decided to deny permission to the Pashtun Tahafuz Movement (PTM) to hold its planned rally in the city on the 13th of May. The administration blamed the PTM for disseminating false propaganda against state institutions, and in response, launched an investigation against the leaders of the movement in the city. Hashim Khan Mandokhel, a representative of the PTM, had earlier lodged an application to the Deputy Commissioner to hold a public rally at Bagh-e-Jinnah in Pakistan’s largest city on the 13th of May. Sources claimed that senior officials deliberated the PTM’s application for a rally, and claimed that contradictions plagued the application. 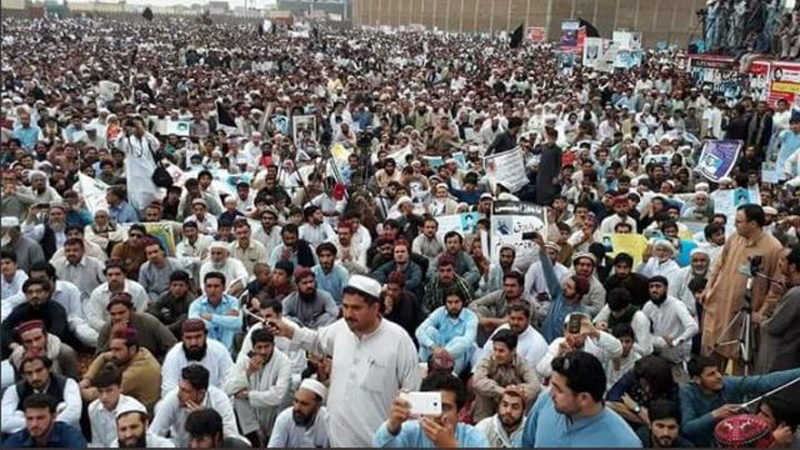 Officials held that while the application claimed to hold a peaceful rally, the PTM was also holding corner meetings and other events that were meant to instigate the people against the army and the state. The officials argued that this highlighted that the movement aimed to foment anti-state feelings in the country, and that too a mere few days before Ramazan.